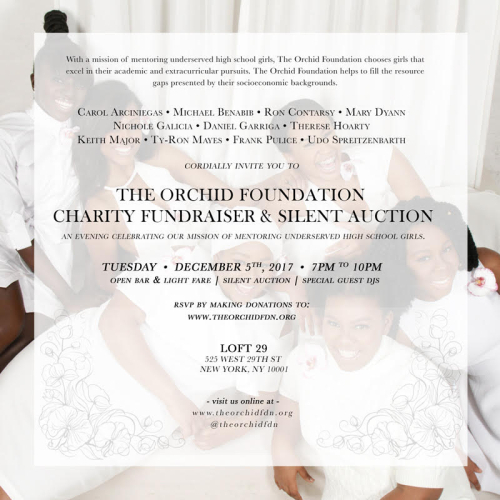 The Orchid Foundation Charity Foundation Gala @Loft 29. 7:00 pm-10:00 pm. Special Guest DJs, silent auction, open bar, light fare served.